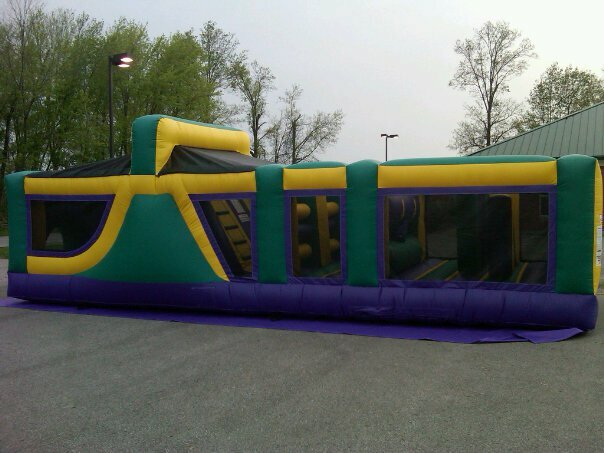 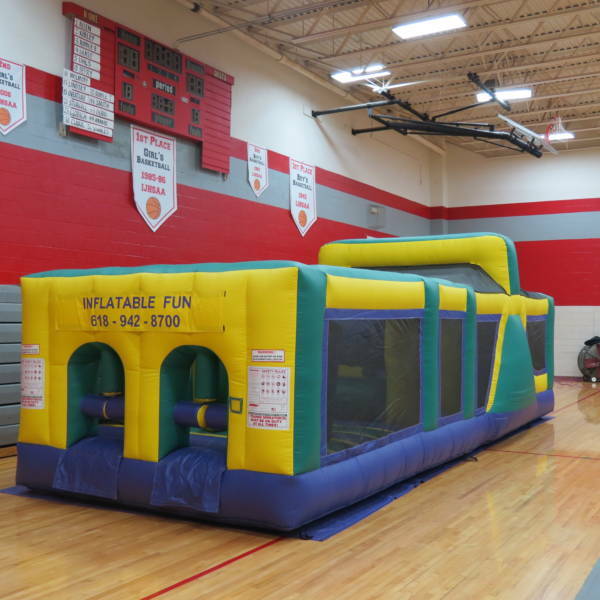 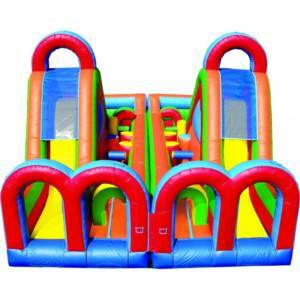 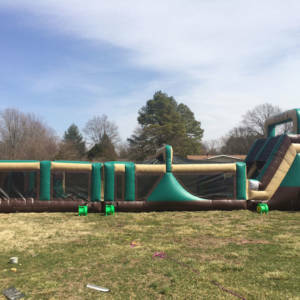 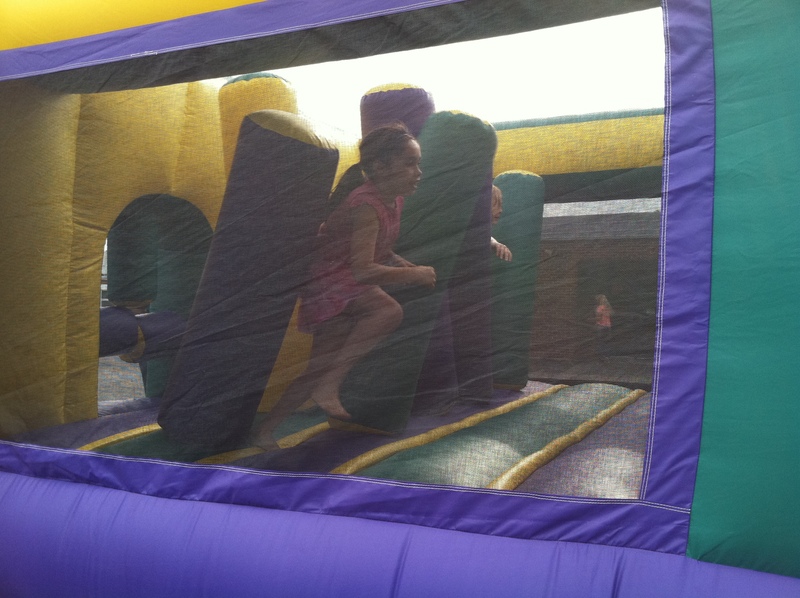 Our 30′ Backyard Obstacle Course will work for any occasion. 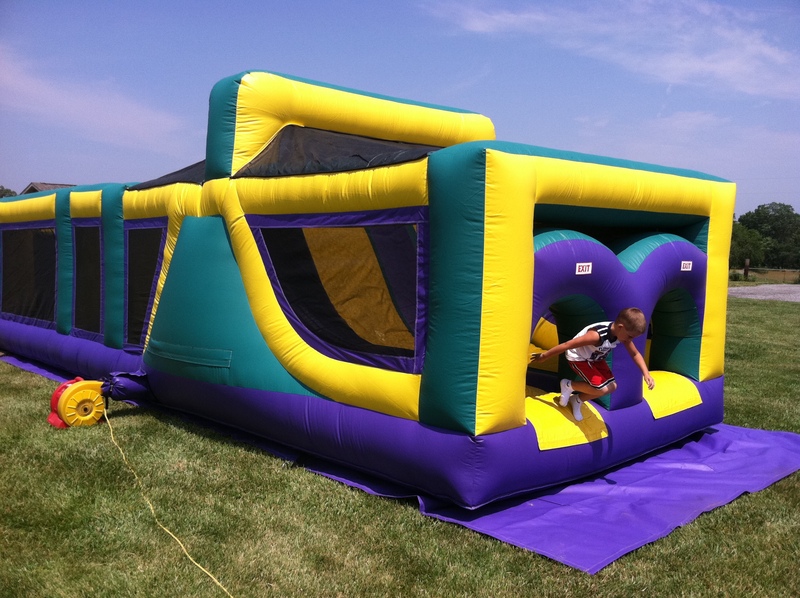 The kids love to enter through the 2 entrances and race side-by-side to the end of the unit! 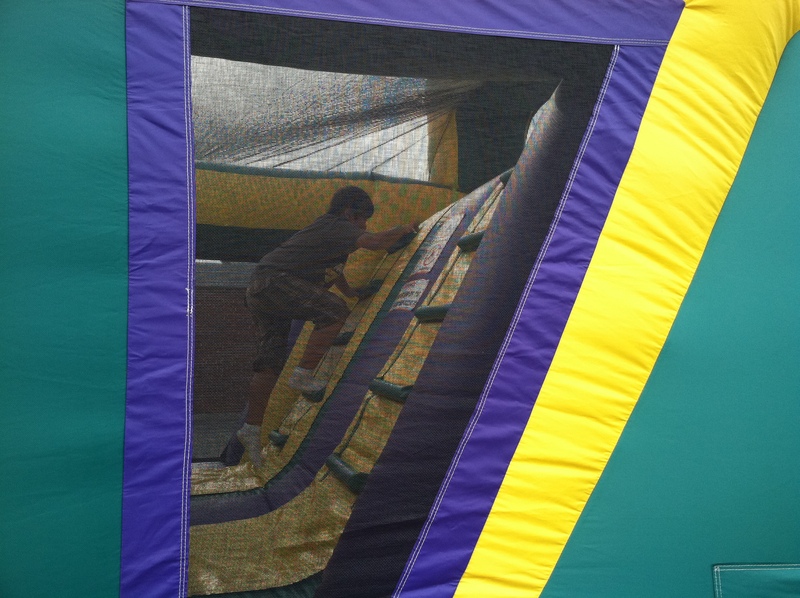 Our Mardi Gras color scheme of Purple, Yellow, and Green give it a bright and eye-catching appearance. This beautiful Unit is perfect for kids of all ages. 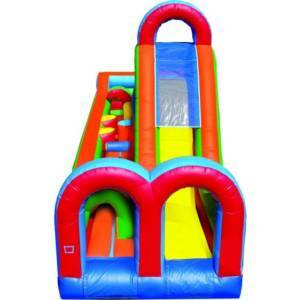 Its low profile makes it perfect for indoor events. 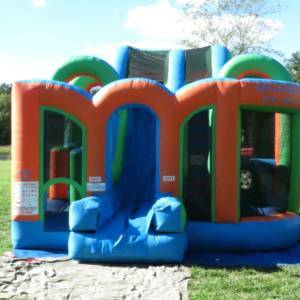 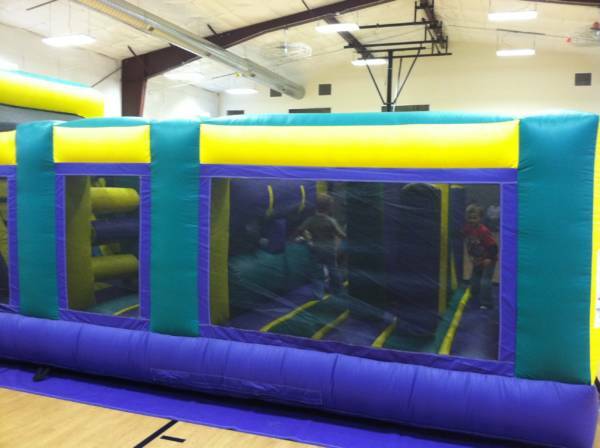 Dodge the vertical obstacles, squeeze thru the “Squeegee”, burst thru the horizontal obstacles, head up the steps and down the slide and out the exit before zooming around to do it again!